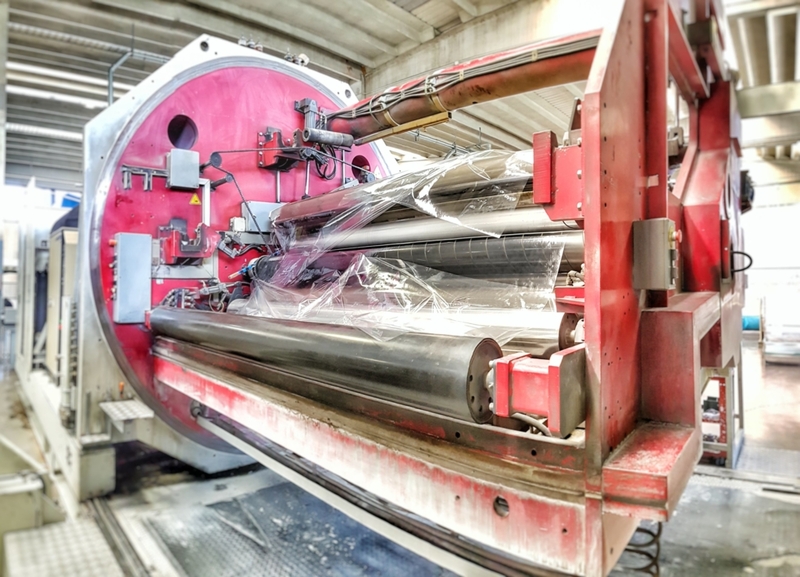 The metallization process consists in depositing, in a high vacuum chamber and at approximately 10-4 hpascal, a thin metal layer on a plastic film (such as PET, PVC, PS, OPP, BOPP, LDPE, MDPE, HDPE, OPS, CPP , PC, PA, NYLON and PAPER, biodegradable films, etc). During the process, the reel is carried out and rewound on another axis, and it passes through a special process roller where below, the evaporators (boats) are positioned. The boats are made by a conductive material that, for resistive effect, are heated up to the temperature required to evaporate the aluminum wire. At this point, the alluminium condenses on the substrate a thin metal film that provides an excellent barrier to light, water vapor, oxygen and other gases. 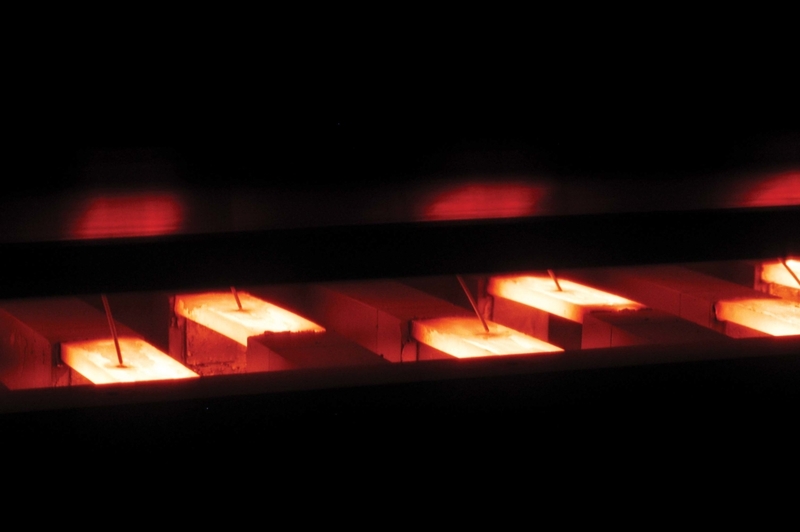 Typically the deposited aluminum thickness ranges go from a minimum of 30 Angstroms to 350 Angstroms over. Given the difficulty in measuring thicknesses so thin, in practice it is more common to measure and quantify the indirectly deposit: measuring the surface resistance of a sample or by the optical density that is defined in relation to the metallized film transparency. To improve the adhesion of the metal layer on the plastic film, the film typically requires a pre-treatment, for example corona treatment, prior to metallization. The Corona treatment increases the surface energy of the plastic making it easier for the aluminum wetting the treated side of the film and form a uniform layer of metal on it, so that the metal can better adhere to the film.